Upgrading your membership allows you to add a complementary print or digital format depending on your selection. 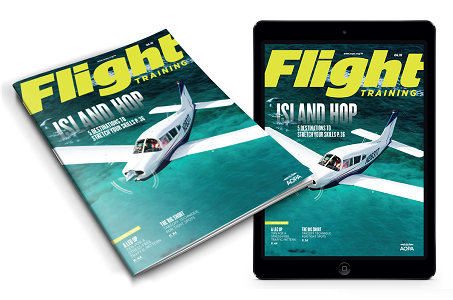 There is an extra shipping cost of $20 for print magazine sent to an international address. Price will be reflected at checkout. Enroll me in AOPA Automatic Renewal to save $4 on next year’s dues and reduce my carbon footprint by eliminating renewal notices. I agree to allow AOPA to charge my membership dues and any optional services to my credit card in my renewal month. My authorization will remain in effect until I notify AOPA otherwise. I understand I can opt out by unchecking the box. 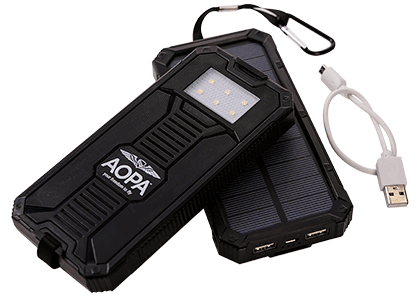 Exclusive AOPA Portable Solar Charger valued at $24.95! 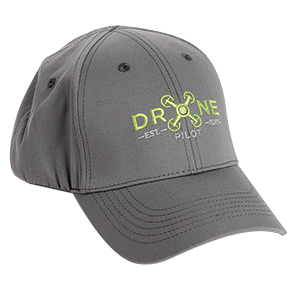 Yes, I'd like to receive DRONE PILOT benefits including AOPA’s Drone Pilot e-newsletter plus exclusive member discounts on drones, training and more. 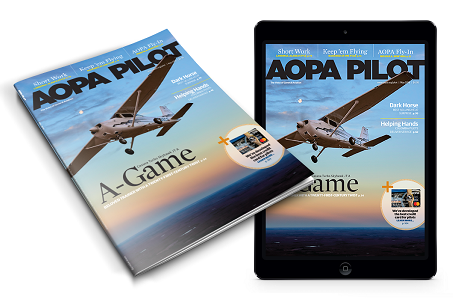 All AOPA members will be automatically entered into the AOPA Sweepstakes. NO PURCHASE OR CONTRIBUTION NECESSARY TO ENTER OR WIN. A PURCHASE OR CONTRIBUTION WILL NOT IMPROVE YOUR CHANCES OF WINNING. Sweepstakes is open only to legal residents of the 50 United States & District of Columbia, Puerto Rico, the U.S. Virgin Islands, and Canada (excluding residents of the Province of Quebec), age 19 years or older (or at least the age of majority as legally mandated by the entrant’s jurisdiction of residence) at date of entry. Grand Prize winner must be certificated by the U.S. Federal Aviation Administration as a Student, Recreational, Sport, Private, Commercial or Airline Transport pilot as of 5/31/19. A current medical is not required. Void outside of the aforementioned geographic areas and where prohibited by law. To qualify for the random drawing, online entries must be received by 11:59 PM ET on 5/31/19. See Official Rules for details, entry limits and alternate method of entry.